Mar Bonnin-Palmer makes sure you don’t get caught out by post-Brexit swings in the currency market – and secure a competitive exchange rate. Q: Do I really need to use a currency broker? Entrusting your money to a company you haven’t used before can be disconcerting, and people often reluctantly default to using their banks for their currency exchanges, believing that they are trading good rates and service in exchange for security. However, this can be a mistake. Whilst you need to make sure you use a currency broker fully regulated and authorised by the FCA, you are likely to get a better rate, great personalised service, and make substantial savings. Q: How can I take advantage of currency movements? Using a currency specialist can be particularly advantageous. Some foreign exchange companies will assign you an expert dealer, who will follow the market and notify you via email when a currency has hit your chosen rate. You could even set up an automatic order to target a specific rate. Q: Can I protect myself against a falling exchange rate? Exchange rates are constantly fluctuating and these movements can have a negative impact on the final price you are paying for the property to the extent of jeopardising your purchase. There are certain ways in which you can protect yourself against these negative rate movements. One of the most popular ways is to book what is known as a ‘forward contract’ which allows you to fix a rate of exchange for a future payment – up to two years. There are two main reasons for an overseas buyer to fix the rate at the beginning of the purchase process. Most buyers enter in a forward contract to take advantage of a positive movement of the rate but others fix the rate for the whole value to have the peace of mind of knowing how much they are paying for the property. Q: What if I’ve already set an exchange rate but decide it no longer suits my needs a few days before completing my house purchase? Can I change it? with a specialist currency provider or your bank. However, you can often utilise a range of products to ensure that the rate is fixed at a level that you’re happy with, and you’ll have a dedicated dealer who will keep in regular contact to alert you of favourable rate movements so you can buy at the right time. This contrasts favourably to many banks who have less of a personal touch, especially for clients who are not moving particularly large amounts. Are we likely to see more fluctuations on the Sterling-Euro rate due to Brexit? It is challenging to predict currency movements at the best of times, and with so much global uncertainty politically surrounding Brexit, these could not be considered the best of times to make predictions. Sterling has dropped nearly 15 per cent against the Euro since the vote to leave the European Union, with either more losses to come, or alternatively, significant recovery. The only certainty to have come out of all of this is that there can be no certainty; so concerned individuals should consider speaking to a currency expert to hedge their risk, and be as prepared as possible for the volatility that Brexit is continuing to produce. Should you want to receive more information about rates and how to make the most of your international payments you can register for free with Moneycorp. Plus with FrenchEntrée you are entitled to FREE transfer fees on all your currency payments. 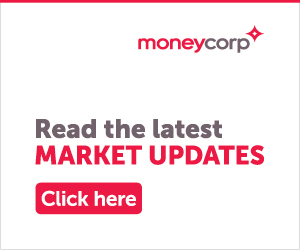 Moneycorp is a trading name of TTT Moneycorp Ltd, which is authorised and regulated by the Financial Conduct Authority for the provision of payment services. All customer funds are safeguarded in segregated client bank accounts. Mar Bonnin-Palmer is a Senior Key Account Manager at Moneycorp, a foreign exchange expert and a specialist in currency transfers for overseas property. For more information, please visit the FrenchEntrée Currency Page or call +0044 (0) 20 3773 6355.